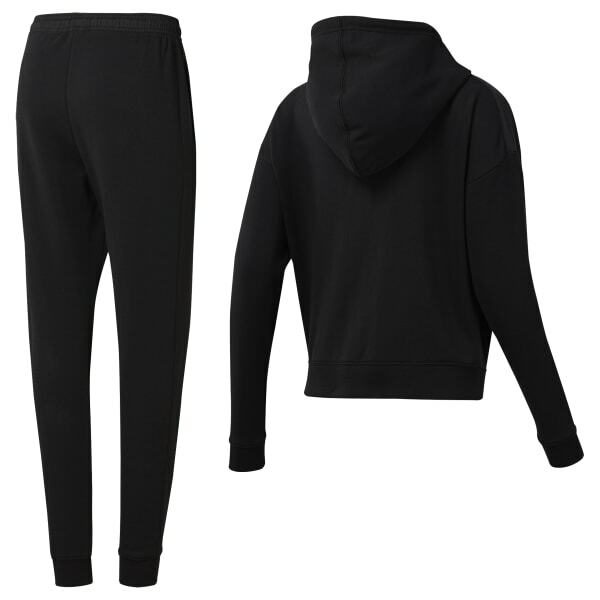 Slip into this women's French terry track suit and luxuriate in soft fabric. Whether you're headed toward the gym or off to your couch, woven panels add a touch of style. The rounded jacket hem enhances coverage wherever you go.